Mick Newell believes cricket lovers will be looking at looking at Nottinghamshire’s new-look squad and taking notice ahead of the new season. 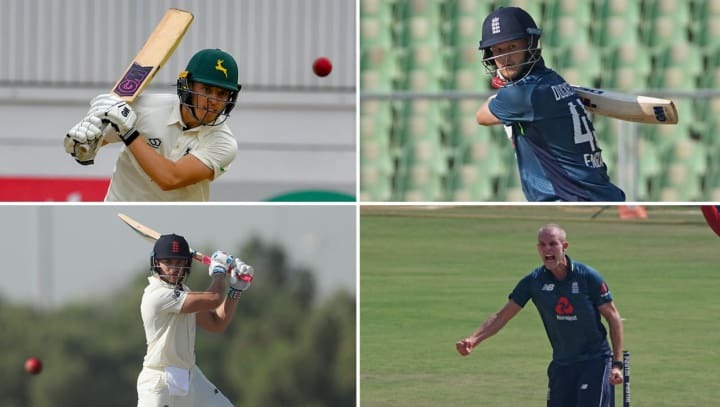 The Outlaws have invested in four domestic players – Ben Duckett, Joe Clarke, Zak Chappell and Ben Slater – ahead of the new campaign, something Newell believed was needed following a 2018 campaign that he admits ran out of steam. “Looking back on our performances across 2018, I would say we achieved the minimum for a Club of our stature and ambition,” the Director of Cricket wrote in the Club’s Annual Report which was recently circulated to members. “Our two main aims were to retain our status in the first division of the Specsavers County Championship, and to play knockout white-ball cricket in both competitions. “However, it is disappointing that we didn’t manage to go further in one-day cricket or finish in the top half in the red-ball format. “Having achieved promotion as a major part of one of our most successful ever seasons in 2017, it would have been devastating to be relegated. “Our red-ball campaign mirrored the 2017 efforts in many ways, albeit at the opposite end of the table. We played very well in Division Two last year, but by September we didn’t seem to have much left. “In Division One, your mistakes are even more costly and we were caught out a number of times at the back and of the season. “In white ball cricket, we lacked some of the batting firepower that had helped us achieve such success in 2017, something we have taken steps to address with the signings of Ben Slater, Ben Duckett and Joe Clarke ahead of the new campaign. “Ultimately, we were out-skilled in the two knockout games having stumbled a little through the group stages. “In previous years we have tended to win groups or be near the top, but this year wasn’t such a smooth pathway. Therefore, the defeats in the quarter-finals – whilst disappointing – were not necessarily surprising. “We saw some things we weren’t quite happy with and have tried to change that by bringing in some young, exciting, dynamic players to freshen it up. “Players such as Zak Chappell and Paul Coughlin hopefully have eight to ten-year careers with the Club ahead of them, working with a good coaching staff and improving as players. “I believe people will be looking at our current squad thinking it’s stronger than last year. Although Newell admits Nottinghamshire operated with a small professional squad last season, he maintains it was improvements to quality, not quantity, that always topped the agenda. “It’s been widely publicised that we had a small squad last year and we were operating with 17 or 18 senior professionals,” he said. “We’re not looking for too many more than that, but we are looking for increased quality; something we have addressed in our recent recruitment. “That squad will then continue to be supplemented by our Academy and we will promote younger players when the time is right, much like when Lyndon James got his chance this summer. “The likes of James and Jack Blatherwick got first team experience and - moving forward – there are opportunities for players such as Chris Gibson, Liam Patterson-White and Sol Budinger to be spoken about in terms of possible selection if their performances warrant it.